General Secretary of the Communist Party of Vietnam Central Committee Nguyen Phu Trong on September 26 hosted Lao Vice President Phankham Viphavanh, who is in Hanoi leading a high-ranking delegation to the funeral for President Tran Dai Quang. The Laos will not face serious rice shortages but will encounter temporary difficulties in supplying the staple grain, according to the country’s National Ad Hoc Committee in charge of the post-disaster response. Economic growth for the Lao People’s Democratic Republic (Lao PDR) is expected to moderate in 2018, as agriculture and mining outputs are forecast to underperform, although an expansion in electricity generation, construction, and services will partially offset these adverse effects, according to a new Asian Development Bank (ADB) report. Senior official of the Communist Party of China (CPC) Zhao Leji on Wednesday concluded his official good-will visit to Laos, where he and Laotian officials agreed to deepen bilateral ties and cooperations between the two countries as well as ruling parties. Nam Theun 2 Power Company (NTPC) has successfully carried out provisions of its concession agreement relating to a resettlement programme and recommends the closure of the Resettlement Implementation Period under the Nam Theun 2 Multi-Purpose Project, according to its latest International Panel of Experts (POE) report. 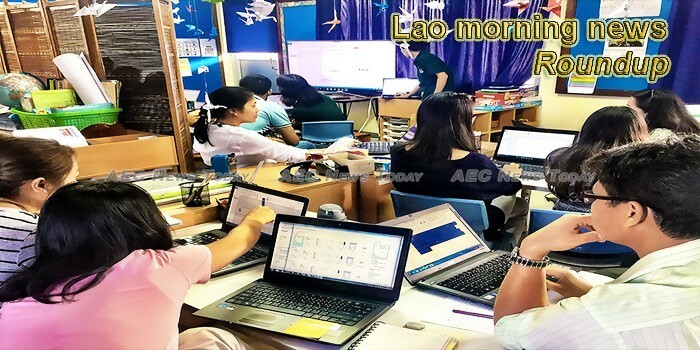 The German government will support Laos by providing half the cost to construct the second 2-million euro Lao-German Technical College in Vientiane.